Who’s responsible for wire fraud? Each year, the Florida Realtors® Convention & Trade Expo gathers thousands of Realtors looking to up their game. This years theme is Celebration 15; the event falls on August 19-23 and is held at the Rosen Shingle Creek in Orlando, Florida. The free two-day Expo is on Thursday and Friday–all you have to do is register. There are over 30 education sessions sorted into six learning tracks–technology, broker, productivity, trends, personal growth, and continuing education. Along with the Convention, the Trade Expo has over 200 exhibitors that come packed with promotional materials and exquisite raffle prizes. This years keynote speaker is Notre Dame’s former Head Coach Lou Holtz. On October 3, 2015 the TILA-RESPA Integrated Disclosure (TRID) rule will go into effect. The Florida Agency Network (FAN) is leading the industry through uncharted waters to the new disclosures. Title agencies in the FAN network are prepped and ready to keep you afloat before, during, and after these industry changes. Join us at booth 625 as we say Bon Voyage to the HUD-1 and celebrate the implementation of the new Closing Disclosure (CD). Get social with us and enter to win an Apple iWatch! Stick Around For Our Countdown! The industry’s much anticipated delay to implement the TILA-RESPA Integrated Disclosure (TRID) was announced last week. The new regulation had the initial launch date set to be August 1, 2015 but has now been pushed back later this year to October 1. The Consumer Financial Protection Bureau’s Director, Richard Cordray stated, “We made this decision to correct an administrative error that we just discovered in meeting the requirements under federal law, which would have delayed the effective date of the rule by two weeks.” Whatever the reason the industry as a whole seems to have let out a huge sigh of relief. These new documents are meant to be more consumer friendly by consolidating the TILA-RESPA forms and making them easier to understand. 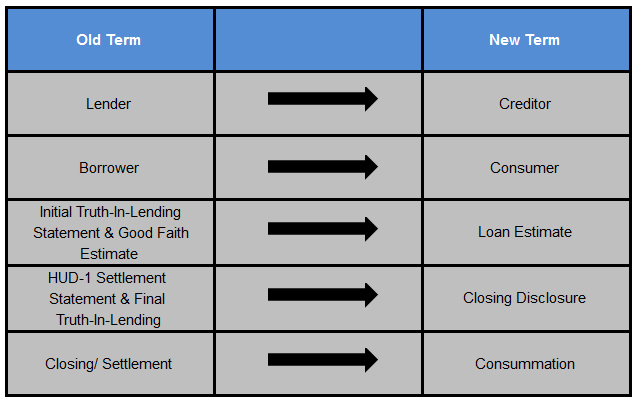 The new regulations give the consumer more time to review the total costs of their mortgage and to ask any questions they may have in regards to their loan terms. The Loan Estimate is due to consumers three days after they apply for a loan, and the Closing Disclosure is due three days before closing. These two requirements along with software compliance and security issues have thrown the industry into a frenzy as they try to comply by the deadline. The best thing you can do to prepare yourself is to join the conversation. In an ever changing industry it is important to partner up with a title agency that has aligned and complied with the new regulations. Agencies powered by the Florida Agency Network (FAN) are prepped and ready to lead the way during this immense industry change. Tuesday, June 23, 2015 will mark the 100 day countdown until the CFPB’s implementation of the TRID. 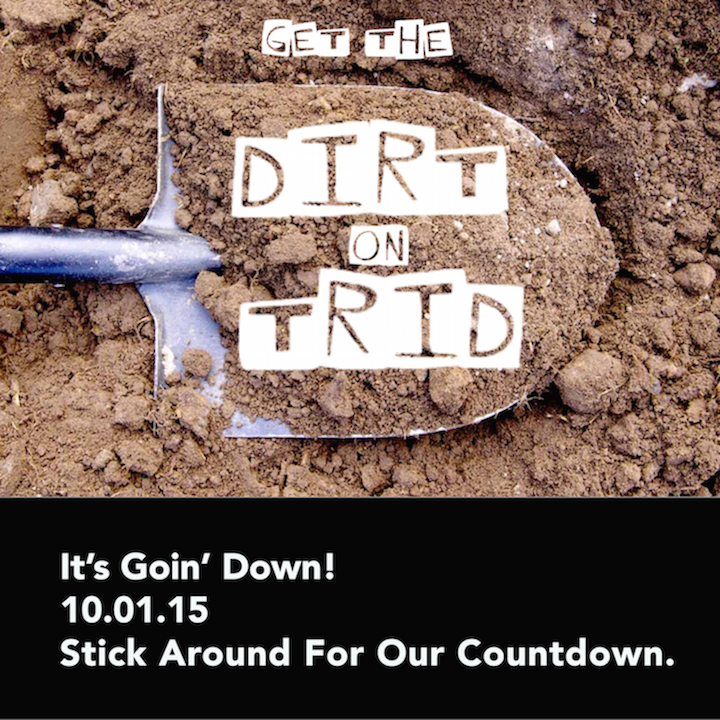 It’s going down — 10.01.15 — Stick around for our countdown! Please Note: Since posting the CFPB has submitted an amendment to their proposal further delaying the effective date to October 3. Due to lack of preparedness in the industry, CFPB has delayed implementation of the TILA-RESPA Integrated Disclosure (TRID). It’s important to partner up with a title agency that is ready for the up coming industry changes. Title agencies powered by the Florida Agency Network are compliant, trained and ready to take on these industry changes. It’s going down on Oct. 1, stick around for our countdown! Title CEO Aaron Davis' Crystal Ball: What he knows could save your agency! I chat one-on-one with Aaron Davis, fast-moving CEO who grew Hillborough Title into the FloridaAgency Network–the state’s 4th largest privately owned agency. On tap is the ongoing conversation about certification–will ALTA Best Practices be enough? Can agents afford to pursue SOC II certification? Can they afford not to? Aaron also shares his thoughts on protecting NPI, “self-certification” and the future success of the small agent. Follow Robert Reich on his Twitter account (@RobertLReich) or the NextDeal on their Twitter account (@NextDealDigDocs). Enter your address in the boxes, making sure to follow the on-screen directions exactly as the program is complex. Once you’ve identified your map segment and opened the map, you’ll see a satellite image of your location. Click on the parcel closest to your home and a list of information about your property will come up. All of your flood data is in there. In the new window, the map will zoom directly to your property with a link to the Flood Insurance Rate Map (FIRM). Click that link. A window will open with that segment of the map. Click on the magnifying glass to view the map. Pasco County’s website directs you to the FEMA Map Service Center. Polk County’s website directs you to the FEMA Map Service Center. Manatee County’s website directs you to the FEMA Map Service Center. Hernando County’s website directs you to the FEMA Map Service Center. Highlands County’s website offers no links to mapping services. Therefore, the FEMA Map Service Center will be provided. Zones designated as AE, A, AH or AO Zone. These properties have a 1 percent chance of flooding in any year and a 26 percent chance of flooding over the life of a 30-year mortgage. VE or V Zones. These properties also have a 1 percent chance of flooding in any year and also face hazards associated with coastal storm waves. High-risk areas are called Special Flood Hazard Areas, and flood insurance is mandatory for most mortgage holders. Shaded X Zone. These properties are outside the high-risk zones. The risk is reduced but not removed. X Zone. These properties are in an area of lower risk. Lower-cost preferred rate flood insurance policies (known as Preferred Risk Policies) are often an option in these areas. It can easily be said that being healthy is easier said than done for most of us who end up behind a desk all day. While there are great days that will get you out of the office and on the move, more often than not your 9 to 5 is spent staring at a computer monitor and sitting in a relatively (un)comfortable office chair researching, chasing leads, and processing documents for your clients. But, just because you’re trapped in a chair doesn’t necessarily mean that you have to stay unhealthy. There are ways to overcome it, and we’ve got a few tips here for you as well. While you’re not going to be doing chin-ups and crunches at the desk, there are ways to stay fit while sitting at your desk. Taking a break to stretch every hour or so for 5 minutes can help keep you limber. Resistance bands (sold at sporting goods stores) can be attached to the arms of an office chair and can give you some “weights” to push around during your day. Designating an area away from your desk (if possible) that you do some kinds of work at force you to get up and move, if even a little bit. Every small bit helps (and that exercise can even help you stay more alert). Health isn’t just about the 6-pack most of us (don’t) have. It’s about your cognitive abilities, too. Small doses of puzzles or other small mental activities can help keep us well and healthy. A simple algebra problem, a document on your desk that has a problem requiring a decision, even just a simple change of direction for a short while can all bring your mind back into full steam. While it might not seem “productive,” neither are the coffee breaks you’re taking either. Small changes can have big effects, and those big effects might be the difference between a regular 2pm slump or sustained productivity. Your snacking habits can defeat you, too. Remember last Thanksgiving? We all do, usually bad memories of eating too much and wanting to sleep. Well, that works on a smaller scale too. If your work snack or lunch is really big, greasy, or starchy, you might end up in the same kind of slump that’ll make you want to fall asleep at your desk. When eating at the desk, remember to snack light and healthily—and avoid the potato chips and fried snacks! They’ll slow you down more than you know. Even with all these tips, there are still more to be found. Necessity is the mother of invention, after all, and we’re always looking for new ways to stay healthy even if we can’t really leave the desk (even though AirBnb’s joke about AirBrb sounds like a great idea to us). What options have you considered to stay healthy at your desk? Have you been paying attention to the new mode of travel, lodging, and interaction? We’ve been moving to a different way of doing things here in the good old USA, and that way is far more like what our kindergarten teachers used to tell us: sharing is indeed caring these days—and it’s saving people a lot of money. So much so, in fact, that it’s beginning to affect how people make major decisions. Do they buy a car for personal use or are they willing to use Lyft, a makeshift taxi service servicing some major cities (and attempting to roll out to more). Need a room for a few nights somewhere? AirBnb has you covered. And the income that people using these services earn (as well as the inexpensive alternative that they provide to traditional taxis and hotels) can affect what factors influence a decision on where to live. Here’s a plausible scenario: Say there’s a very affordable house on the outskirts of a major city, just outside the range for someone to walk to work. For someone who’s espousing frugality in their efforts, this is a big concern. If Lyft is available for them, then that might tip the scales towards this home that normally they wouldn’t have considered. Likewise, people may choose to buy a bigger home so that they can rent one of the rooms for a few days a month. The mere presence of these services mean that they’ll become considerations as they catch on. While we’re not endorsing or detracting from the sharing economy, we’ll simply say this: there’s never been a better time to really get to deeply know your client base. While you might not be representing someone interested in Lyft (which is marketed more towards younger professionals looking to save money), AirBnb might be on their radar. Or Getaround, RelayRides, and more. These services are becoming very popular and might just change some markets—if you’re willing to make the connections and use them as selling points. We hope you can make it out to the RE-GRAND OPENING of our South Tampa office! Wednesday Feb. 26 from 4-6PM @ 3410 Henderson Blvd. Copyright ©2015 Paramount Title. All Rights Reserved. Website by S3 Media.